Bow hunting is an exhilarating adventure. However, you need the right gears and equipment if you want to succeed. Animals can easily detect abnormal changes such as sound, smell, movements happening around them. 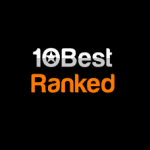 Due to this, you need the latest equipment that will help you stay undetected by these animals. One of the most important equipment bowhunters should have is a ladder stand. Ladder stands are normally attached to a tree with a straight truck. They provide a secure and safe platform where you can sit and wait for long hours. The best thing with these ladder stands is that they help you to climb the tree unnoticed. Due to their height, they give you a clear view of the surrounding (Source). 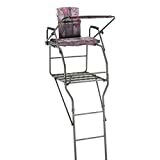 When searching for a ladder stand, look for one that is comfortable, affordable, easy to set and one with a footrest. This article will reveal the best ladder stands for bowhunting you should consider today. As the name suggests, Guide gear 18 is 18 feet tall and it’s very suitable for all hunters with a weight of 350 pounds and below. The best with this ladder stand is that it is made from long-lasting steel which makes it durable. The seat measures 13.5 X 26.25 Inches which means it is spacious enough to enable you to sit the whole day comfortably. The flip-up seat also features a padded armrest and a backrest to provide comfort. Additionally, there is a large foot stand attached to the seat which allows you to stand comfortably without any fear of falling. Another outstanding feature of the guide gear 18 is the well-cushioned seat. This seat is very comfortable and also contains two dynamic silencers which are located under the frame. These silencers prevent any noise which may affect your hunting. The ladder also comes with different safety features to ensure you are well protected. Some of these features include a ratchet strap, adjustable support bar to give you a secure attachment and two stabiliser straps. It has a large foot platform which measures 24 X 25 inches to allow you stretch your feet. The best thing about this ladder stand is that it can accommodate two people at once. It features a padded seat, arm stands and backrest to ensure you are comfortable all day. It is made of a sturdy and robust steel which makes it durable and stable. Although steel makes it be a bit heavy, the material enables it to provide optimal performance. Another impressive thing about this ladder stand is that it is 20 feet tall to give you a clear vision. The more you see, the higher the chances of getting what you are looking for. The height also ensures you are secure from dangerous animals. In addition, this tree stand features a spacious seat and a 55-inch wire mesh foot platform. This enables two adults to sit comfortably and enjoy hunting together. 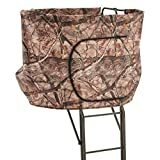 Besides, the large foot stand allows you to stretch out to ensure that you are comfortable when hunting for long hours. Jayhawk is designed to accommodate two people at the same time. It has a padded seat, backrest and a large platform which provides comfort for the two hunters. 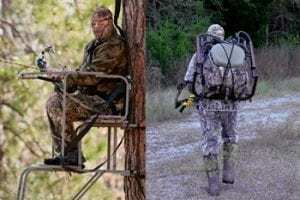 Apart from support, this tree stand offers safety to the hunters since it features two full body harness. It is made of steel to make it durable. Unlike others, it has a black colour weather coating which makes it rustproof. This defender also keeps the ladder free from corrosive elements. Apart from that, it helps to minimise the sound of the structure. Additionally, it comes with a padded armrest and a comfortable sitting arrangement. The stand comes with full body harness features to ensure that you are very secure. Another outstanding thing about this ladder stand is that it has a wide seat which measures 39X 17 inches. The ladder can accommodate two people with a maximum weight of 500 pounds. You can also remove the shooting rail or flip it back when you don’t need it. Rivers Edge 2 Man Bowman Ladder stand enables you to have a hunting companion. It is wide enough and can accommodate a maximum of 300 pounds which makes it ideal for two people. It allows the two hunters to stand or sit and hunt comfortably. It has a V-shaped design which keeps the two bow hunters tightly concealed on the tree. The design ensures the hunters are safe and also prevent you from falling. Additionally, the V-designs gives you a clear view in all directions. Another thing is that this ladder stand features TearTuff mesh stands which are long-lasting. The seats are also easy to fold to allow both hunters to use the platform comfortably. The best thing with these seats is that they prevent any sound which might be caused by body movement. This ladder stand is 19.9 feet tall to ensure you are safe from dangerous animals. This ladder is attached to a tree which enables it to be secured safely on the tree. This also allows it to be safe and stable. Besides, it comes with safety tie-off ropes, two ratchet straps and a sturdy stabiliser bar to secure it firmly on the tree. 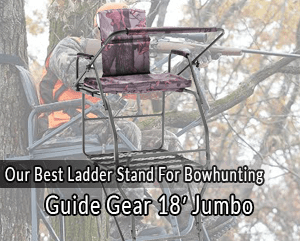 If you are searching for a ladder stand which you can use for both gun hunting and bow hunting, Summit Solo Pro Ladder stand might be what you need. It has an ergonomic design and it is 18 feet tall. It is spacious, comfortable and gives you an excellent view of the area. It is made of sturdy steel which makes it durable. The ladder is stable and does not bend or break. Additionally, the frame has a powder coating which enables it to withstand harsh climate. The layer also prevents rusting and keeps the stand free from corrosive substances. Hunting involves sitting for long hours. Due to this, the ladder features a wide and well-padded bench style seat. It also has a padded backrest to provide maximum comfort. The gun rest is also padded to provide support to your arms and to prevent unnecessary noise. This one is a single person ladder but it is spacious and has a full-length platform which measures 25 X 32 inches. Space gives your leg enough space to stand and even stretch. 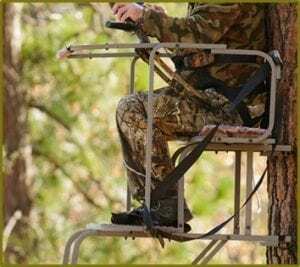 One of the major priorities you should find in a tree ladder stand is the seat. It should be well padded and should be wide enough to provide the flexibility required when shooting. Avoid metal seats since they are very inconvenient. The seat should also have a backrest to prevent back pain when you are hunting for long hours. Apart from that, the seat should be easy to fold to provide more space when shooting. The ladder stand should be big enough to allow you to stand and lean against the tree for maximum comfort. A good ladder stand should have a platform that extends backwards. This platform should be very close to the tree to prevent you from falling. When searching for a 2-man ladder stand, go for one that can accommodate your feet instead of a stand that will get your legs swinging in the air when you are sitting on it. Such a platform will prevent you from dropping some items on the ground accidentally. Look for a ladder stand that is not hard to assemble. If possible, look for one that you can fix by yourself. You should decide on the amount of money you would like to spend when buying a ladder stands and then look for the best product in that range. It is good to ensure that you are getting a quality product irrespective of price. Most of the cheap ladder stands are not effective and they have limited features unlike the expensive models. A ladder stand with a footrest can be an excellent choice. A footrest prevents your legs from hanging when you are waiting for your game. The best thing with a footrest is that it enables your feet to relax when hunting for the whole day. Avoid a ladder stand that can squeak even when you make slight movements. The best ladder should be quiet when you are climbing and also when you are moving. You should look for a stand that is easy to carry especially if you are required to move it from home to the woods frequently. However, if you have a permanent spot for hunting, you do not need to consider the weight of the stand. A good ladder stand should be lightweight and stable. It is good to consider the height of a ladder stands before buying. Look for a stand with at least 20 feet from the ground. A ladder with a proper height gives you a clear view of the surrounding and also protects you from dangerous animals. It should also be firm to prevent you from falling. Ladder stands are critical equipment especially if you are a bow hunter. They come in different designs which means you must be very careful when buying to ensure that you get value for your money. If you consider the price, seat, portability and other factors we have mentioned above, it will be easy to select a quality product. You also need a stand with a suitable height to allow you to see what is happening around you comfortably. If you love bowhunting and you have not yet purchased a ladder stand, we hope that this review will help you to identify a suitable ladder stand that will boost your bowhunting experience.